The hamlet of Le Breuil aux Gittons is a typical country hamlet of this region with traditional stone houses and small numbers of farm animals including horses and goats in the fields to provide interest and charm. 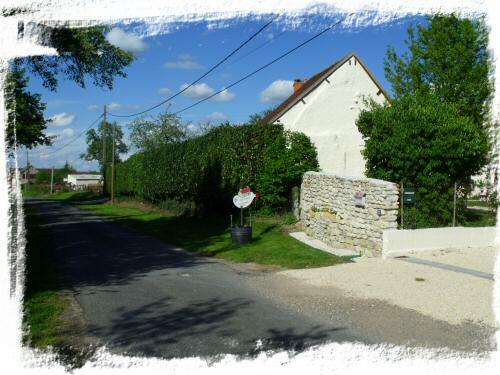 Le Breuil is a small hamlet of approximately 35 houses / farms spread over a meandering country road. The surrounding fields are used for both animal grazing and crop growing but in a very low key way, this is not large scale industrial farming. The roads are very quiet and great for cycling or walking, two excellent cycles are available if required. The local French cycle club has kindly planned some nice cycling routes from the cottage should you wish to explore the lanes. 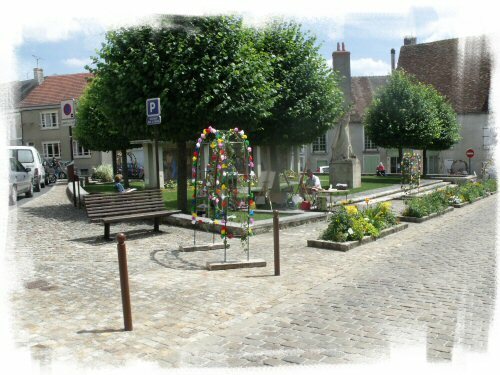 Chatillon sur Indre is the nearest town, approximately 5 minutes drive and certainly within cycling distance. This small town has all the facilities and shops you would require including a good supermarket, bakers, butchers, banks and several café's and small restaurants/bars. It also contains an excellent restaurant that has been enjoyed by many of the visitors to Les Deux Platanes. The tourist information office is excellent. The town has a good swimming centre with safe children's areas, slides and spa pools. This town has recently been featured on Berry Issoudun Première TV. Clion is about 10 minutes drive and although much smaller than Chatillon it has a small range of shops plus a very good organic vegetable and nut oil producer famous throughout France. The 'Maitre Artisan Huiliers' shop is well worth a visit as he now sells all manner of organically produced items. The small baker in Clion, open from 07.00am, is our favorite choice for croissants and the small simple but very traditional Café de Sport makes an outstanding cup of 'grand creme' coffee complete with a jug of either hot or cold milk. Buy a cake at the bakers meters away then sit and enjoy a 'grand creme' at the café whilst you watch the world go by! Loches is 20 minutes drive, a historic and beautiful French town with historic streets and Chateaux. Loches is the nearest large town and well worth a visit especially on Wednesday or Saturday when the market is held. Our guests over the years invariably return from Loches praising its wonderful narrow streets, cafes and restaurants, the abundance of history, the castle and artists plus of course the markets Wednesday and Saturday. You can easily spend the best part of a day exploring the town and its many attractions. The Indre is full of small towns and villages all awaiting discovery and for those looking to visit a large town Tours is 50 minutes north or Châteauroux is 30 minutes south. The first of the beautiful and historic chataux of the Loire are just north of Chatillon sur Indre. Three cycles are available for your use during the week should you wish to explore the roads and cycle tracks of the region. Everyone will have their own expectation of the 'perfect' vacation. Some will be active others relax and chill under the trees with a favourite book but whatever you require, for the majority, good food can be found at the top of many holiday lists. Here in central France there are a vast range of cafés and restaurants to suit every pocket and taste. Some people may be concerned that France is expensive. With some care you can find many excellent cafés and restaurants that are no more expensive and in many cases less expensive than the UK especially here in central France. Local Cafes: In central France you are well away from the tourist routes and will discover very typical French cafes, bistro's and restaurants. Most proprietors will speak little English but its easy to get by as they are happy to improvise. Prices are also up to 25% less than some parts of 'tourist' France. 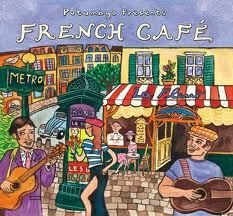 There are of course an abundance of cafés in all local towns, sit with a large café crème and watch the world go by! In Chatillon the 'Cesar' or Paddock Bistro/café on the Route Grand serves all the typical offerings. If you turn right at the main road instead of turning left to Chatillon and head to Clion (7 minutes drive), park in the car park opposite the bread shop. Piere at the 'Café de Sport' next to the Marie (Town Hall) makes an excellent large café crème served with a jug of hot milk ( 2 large café creams with a jug of hot milk 4.80 euro) Remember that in France its perfectly normal to buy a cake or pastry at the cake shop just yards away and take this to the café to have with your coffee. Sit outside on a warm day and watch the world go by! Restaurants: A range of excellent cafes/Bistro's and restaurants can be found both in Chatillon (less than 5 minute's drive) and within 30 minutes drive of the cottage. A new and very typical 'French' Bistro / bar opened in 2016. The outside appearance may not impress but don't be deceived. A small and cosy place inside, situated just off the Route Grand in the centre of Chatillon the 'Paddock' Bistro offers a warm welcome a good range of draft beers, wine by the 'pichet', glass or bottle and an amazing selection of whisky and rums. In addition Guy and Nichole who are very friendly offer a range of quality inexpensive bistro type meals, home made burgers of various weights (from around 8 euro) , various steaks ( 10 - 13 euro) and other offerings all served with home made chips, bread and a pichet of water - they get 5 stars on Trip Advisor. Maureen will reserve a table for you if required, they also organise jazz and other evenings throughout the year. Also in Chatillon is the Promenade. A typical no frills le Routiers 'travellers' restaurant offering simple good quality food lunchtimes and most but not all evenings - GREAT value at 12.50€ including wine! A good number of Les Routiers 'travellers' restaurants are scattered across the region offering an excellent value four course lunch inclusive of wine for 11/13 €. They all follow a similar pattern - extensive help yourself buffet starter, main dish, cheese and dessert plus pichet of red wine. Relais de Clion in Clion and the Petit Marmi'ton on the road to Loches and the Antidote in Perruson are the closest but we can recommend others if you are out for the day. In Chatillon the Marginal also has a range of menus although in any restaurant you can choose one or more courses at less cost. A 30 minute drive south will take you to Buzancais where you to can discover a variety of excellent restaurants. L'Hermitage at Buzançais is a 'Logis' with a well respected restaurant, recently redecorated after new owners arrived from Paris. The evening menus start at 31€ and 18€ for the lunch menu, visit the website to see all the menus. Also in Buzancais is the Royal Wok a ‘buffet’ style Chinese restaurant that has a good reputation. There is a very good selection of dishes both hot and cold plus chefs ready to cook meals in the wok. For 12 euro you can eat as much as you would like at lunchtimes and similar is on offer in the evenings for 17 euro. There are other restaurants in small villages all well worth a visit, full details in the cottage. For a real unforgettable gourmet experience or to celebrate a special occasion you should try the Michelin star 'Promenade' restaurant located in the small village of Le Petit Pressigny (about 25 minutes from the cottage). Evening menus starts at around 43€ up to 90 but you would pay at least triple in the UK for a similar high quality experience. The chef Jackie Dallais and his son is well known throughout France and the food lives up to his reputation. Past guests always give the Promenade top marks! The restaurant website gives a brief outline of the menu but cannot capture the full experience or the extras that appear to arrive as part of your meal, the 4 course menu actually consists of: amuse bouche, small ‘soup’ type taster, starter, main course, cheese, dessert, petit fours. A fish course can be added if you are feeling hungry! Maureen will be pleased to telephone and reserve a table at any restaurant you would like to visit if required and John is happy to provide taxi services for a small charge to cover fuel.